Split the payment over 13 weekly payments of $101.46 Shipping & returns info Free shipping! 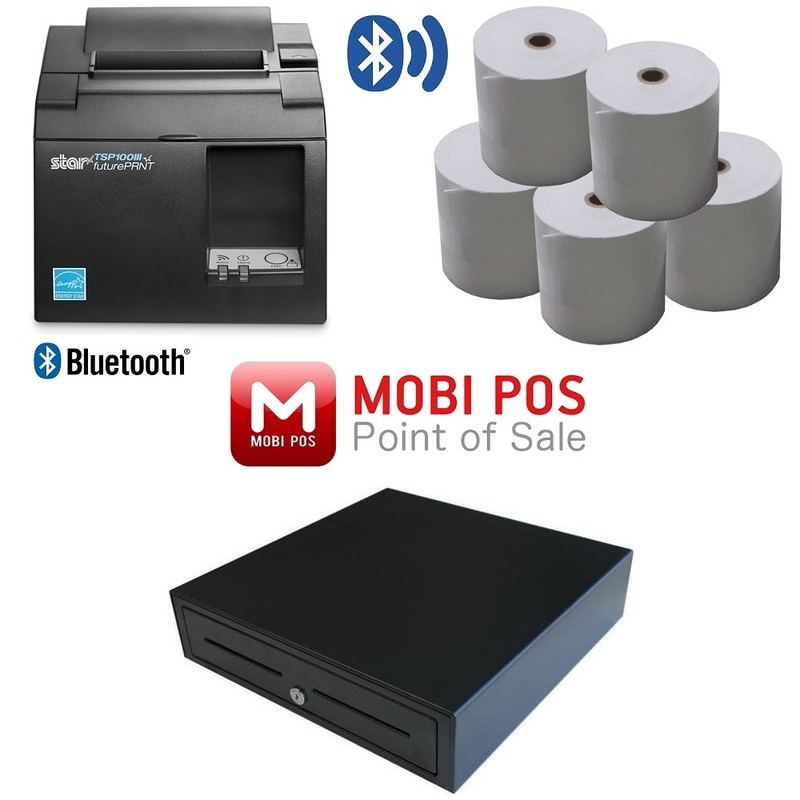 This bundle provides everything you require to be up and running with MobiPOS Point of Sale Software. Complete with iPad, iPad Stand, Bluetooth Printer, Cash Drawer & Box of Paper Rolls! The team at Cash Register Warehouse have put together a great start up POS System bundle compatible with MobiPOS Point of Sale for iPad. This bundle gives you everything you require to get up and running. This is a perfect solution for a Cafe, Restaurant or Food Van. Check our the below details for individual product specs. The Epson Tm-m30 Bluetooth Receipt Printer is a sleek 3 inch receipt printer ideal for tablet POS environments. .For retail businesses looking to move to a tablet POS system that is affordable and easy to install, the TM-m30 tablet POS printer from Epson is the ideal choice. Thanks to ePOS-Print SDK, the TM-m30 easily communicates with web-based applications, ensuring receipts can be printed quickly and efficiently from any mobile device.